Inclusion is the wonderful thing that happens when you value diversity. You stop focusing on what makes you different from everybody else but instead realize how much you share in common. You finally start to shed those fears and prejudices that resulted from your upbringing and ignorance. It’s easy to hold stereotypical views of a certain class of people when you don’t really know them. But once you start working alongside someone you really like and respect, the content of their character will trump any preconceived notions you had about them. Employee networks are the way in which Intuit supports employees to form affinity groups. I’m proud that Intuit very early on sanctioned the LGBT (Lesbian Gay Bisexual Transgender) Network. Our total of nine networks also includes a Women’s Network, an African American Network and a Next Generation Network. Membership to all networks is voluntary and inclusive (open to all employees). ICAN is our newest network and I’m privileged to be a founding member. Having a faith-based network was not an easy decision since many believe religion has no place in the workplace. 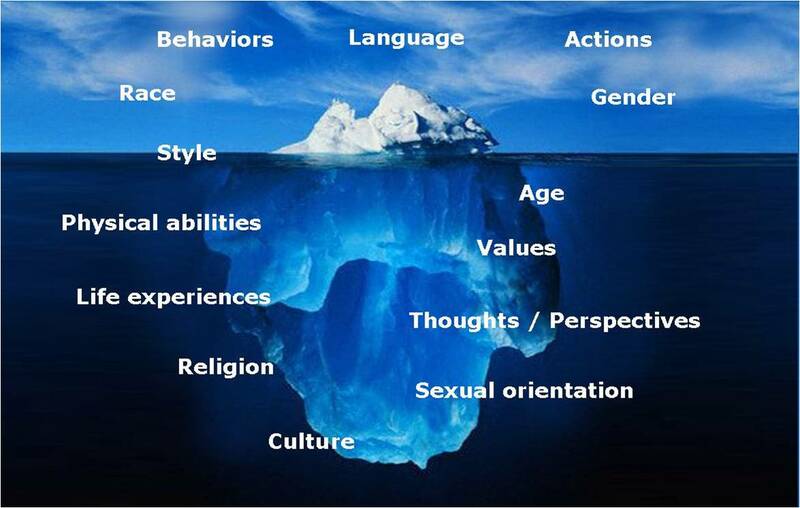 However, religion has always been called out as part of the diversity iceberg and clearly is an important aspect of many people’s lives. And just like any aspect of diversity, there are negative stereotypes of people with religious beliefs. ICAN is not about having “church at work” but instead a network where Christians and non-Christians can be inspired to grow together, help bring diversity awareness, and bring their whole selves to work. Through ICAN and other faith-based networks to be formed, we can start a rich dialogue on our faiths helping dispel negative stereotypes. With all the challenges we face in this day and age, we will overcome because of the strength we find in valuing each other. Therein lies the power of diversity and inclusion.